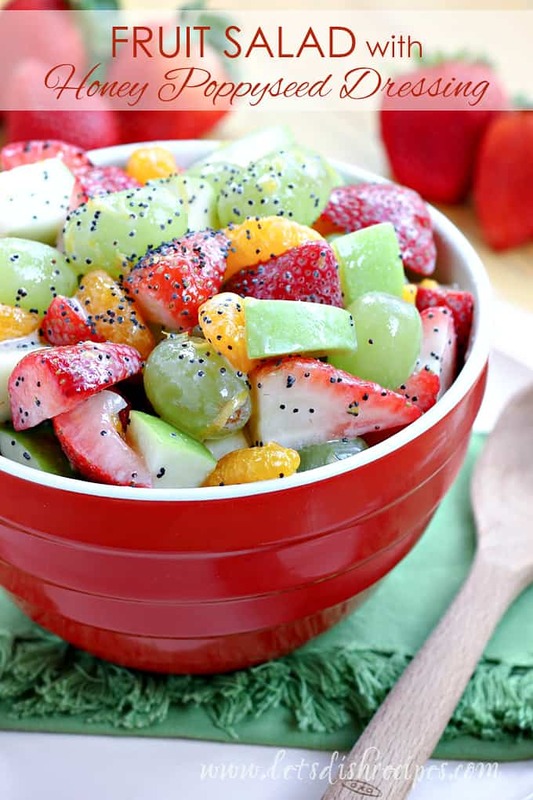 FRUIT SALAD WITH HONEY POPPY SEED DRESSING — This versatile fruit salad is a great way to serve all kinds of fresh fruit. And the simple honey poppy seed dressing makes it extra special. I love all of the fresh fruit that is available during the summer months. I’m pretty content to eat it as is, but this Fresh Fruit Salad with Honey Poppy Seed Dressing is definitely one of my favorite ways to do something a little bit special with all of that fresh summer fruit. You can use any kind of fruit you like–strawberries, grapes and fresh pineapple are a few of my favorites. If I’m using apples or bananas, I like to toss them with a little bit of lemon juice first. I’ll often add a can of well-drained mandarin oranges in a pinch, and if I’m using blueberries, I mix them in very gently to avoid turning the whole salad blue. This salad is great to bring along to potlucks and backyard barbecues, and it’s well received by kids and adults alike. In fact, one of the easiest ways to get my kids to eat their fruits and vegetables is to whip up a fruit salad. We make this one all the time, and they always go back for seconds. The salad doesn’t keep well though, so I recommend adding the dressing just before serving and enjoying it all in one sitting. Trust me, it won’t be hard! 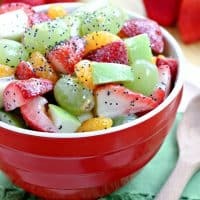 Be sure to save this Fresh Fruit Salad with Honey Poppy Seed Dressing recipe to your favorite Pinterest board for later. 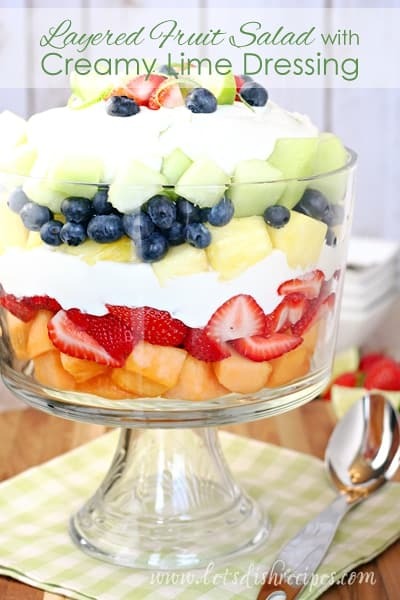 This versatile fruit salad is a great way to serve all kinds of fresh fruit. And the simple honey poppy seed dressing makes it extra special. Place the fruit in a large bowl. In a small bowl, whisk together the sour cream or yogurt, honey, lemon juice and zest and poppy seeds. Pour dressing over fruit and mix gently. Serve immediately. 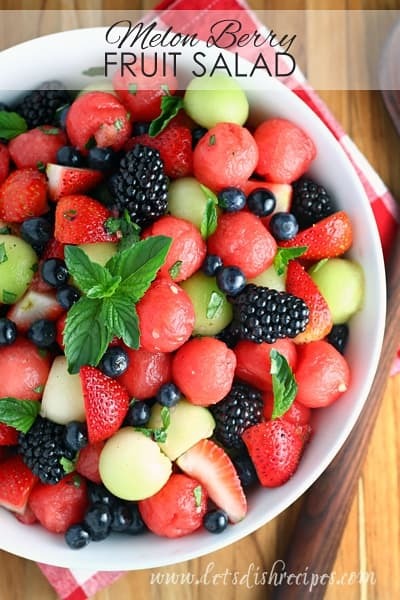 This looks delicious and refreshing! Thanks! 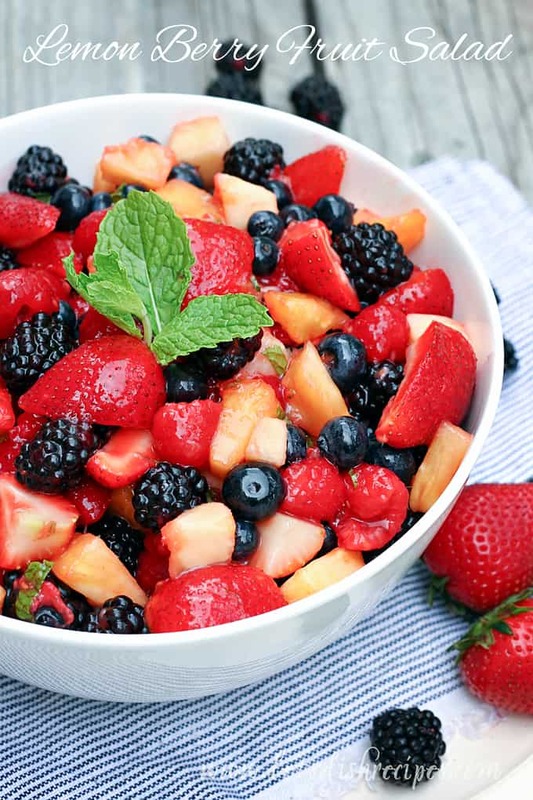 What a perfect and refreshing fruit salad! Love that gorgeous honey poppyseed dressing. Oh, and I love your blog. I love meeting new food bloggers! 🙂 Pinned!